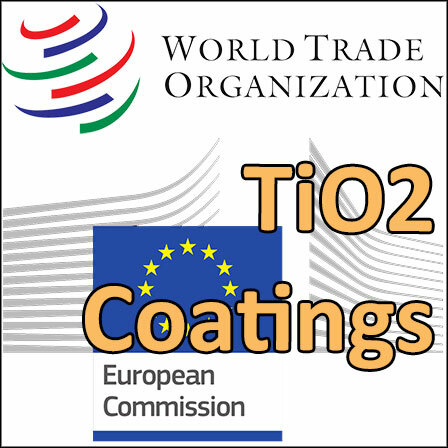 On 21 March 201p, the European Union transmitted to WTO a draft Regulation aimed to authorise the use of additional coating materials for the UV-filter Titanium dioxide (nano) in cosmetic products. Modification of Annex VI (authorised UV-Filters) is expected to be adopted during the 4th quarter of 2019. This draft Commission Regulation aims at authorising the use of additional coating materials for the UV-filter Titanium dioxide (nano) in cosmetic products. 1. Titanium dioxide is currently allowed as a UV-filter in cosmetic products, including in the form of nanomaterial. Titanium dioxide (nano) is listed in entry 27a of Annex VI to Regulation (EC) No.1223/2009. It is allowed at a maximum concentration of 25% in ready for use preparation, except in applications that may lead to exposure of the end user’s lungs by inhalation and subject to the characteristics listed in the entry. 2. The characteristics listed in entry 27a of Annex VI concern the allowed physicochemical properties of titanium dioxide (nano) and the substances with which it can be coated.